A variety of options exist for the stay-at-home mom who wants to augment the family income, yet not sacrifice time to be with her children. Freedom, flexibility and the ability to earn money at a work pace she can control were key issues for the mothers interviewed in this article. Deana Christofferson, who lives in the Forster Ranch community of San Clemente, makes it clear that being “mom” comes first. “I wanted to stay home and raise my boys and not put them in daycare. I wanted to be at their baseball games, work in their classrooms and be home when they got home from school. I wanted to help them with their homework and talk about their day. And although I wanted to augment my family’s income, I didn’t want a boss dictating my life and my schedule,” she remarked.Physical fitness and nutrition are Deana’s passions. She had worked in the health and fitness industry for almost 20 years. When she heard about Juice Plus from an acquaintance, she recognized it as an opportunity to combine her interests in a part-time job opportunity that would give her the freedom and flexibility she craved. Juice Plus is a product offering fruits, vegetables and grains in capsule form, chewable tablets or gummies. Owned by NSA, it is a “virtual franchise” for people who want to start their own business, but without any financial risks. It allows the “franchisee” to build a small, profitable business behind a brand name product, using a tried and proven system. Franchisees, or “distributors”, then share that system with others and receive a share of the profits in return. Plus with them. So she pursued her business with such excitement and enthusiasm, the financial rewards stacked up generously. Before long many satisfied customers, who were also looking for part-time work, became distributors. After seven years with Juice Plus, what started out as “a little bit of side money” turned into a thriving business with sales of up to three million dollars a year. Business was doing so well, Deana’s husband Bob was able to leave his full-time job in manufacturing to work side-by-side with her. Now Stacy hosts about 2-5 Creative Memories workshops a month. During the workshops, she helps other moms create memorable and lasting photographic scrapbooks for their families. All the tools and materials needed to build fabulous scrapbooks are available for sale during her workshops. She has become indispensable to her customers because she is trained to help moms build beautiful scrapbooks in the shortest time possible. Twenty hours a month is Stacy’s average work schedule. She emails her customers letting them know when new materials have arrived, and sends customers her monthly workshop schedule. Most of her workshops are hosted in the evening when dad can baby-sit and mom can relax and work on her scrapbook uninterrupted. Creative Memories has become a trusted name for moms who scrapbook because its products don’t fade or yellow, so scrapbooks can be handed down from one generation to another in good condition. Just about any product needed to create a beautiful scrapbook is made by the company and they are constantly coming out with new materials. Creative Memories is another example of a company that has achieved outstanding success in a relatively short amount of time. It trains its consultants, and offers the latest tools, materials and workshops available in the scrap booking industry. Their materials can only be obtained, and workshops conducted via their consultants and not through retail outlets. 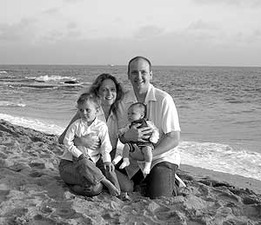 For Darlene Davis from San Juan Capistrano, becoming a Tupperware Consultant last January paved the way for her to stay-at-home with her first-born son, and work at a relaxed pace while pregnant with baby #2. “I’ve always loved Tupperware products, so it was natural for me to become a consultant,” said Darlene. “I used to work babysitting other kids for side money. I can work fewer hours and make more money as a Tupperware Consultant than I could babysitting. Although I’ve only been doing this since January, I’m already getting so many re-orders, I’m making money even when I’m not working!” exclaimed Darlene. • An opportunity to start a business backed by a respected, brand name product with little or no financial risk. • Moms (and dads) can work at their own pace. • Financial rewards are generally given for bringing other people into the business, and training them to become distributors or consultants. • Residual income is a financial incentive. Flexibility and financial freedom are attractive components in home-based businesses. For a new generation, it appears these types of businesses are here to stay and will continue to be popular in the years to come.